The first in a new series, “The Concierge Insider”, is a behind-the-scenes look into the lives and secrets of some great concierges in marvelous locations. Each guest concierge featured will give us insider tips into their own locate, plus some highlights and anecdotes of their career. Join me for this fun, informative and interesting series that will shed new light on a destination you could be about to visit! 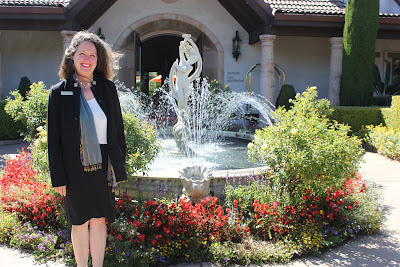 Mary DuVoure, Villagio Inn and Spa, Yountville, Napa Valley, California. 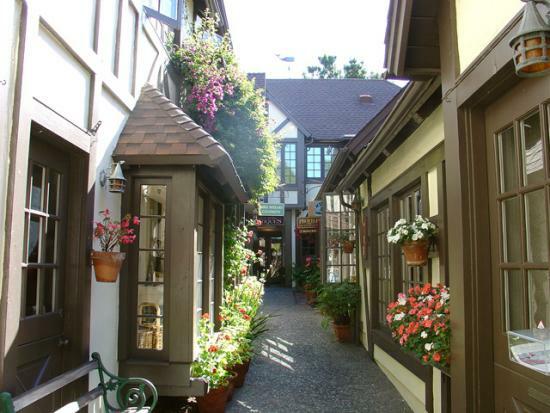 Villagio Inn and Spa and Vintage Inn are wonderful choices if you are planning a trip to the Napa Valley. Large, luxurious rooms, a breakfast spread beyond belief, and within minutes’ walk of some of the country’s best restaurants, including the French Laundry, Bouchon, Redd, Michael Chiarello’s Bottega, Hurley’s, Bistro Jeanty and so many more, These are dotted amongst wine tasting rooms, galleries, spas, boutiques and a chocolate shop to die for, Kollar Chocolates in the historic V Marketplace. Seated in relaxed and gracious elegance in Villagio’s spacious welcoming lobby, you will find concierge, Mary DuVoure, who’s warm and generous spirit will surround you and start your journey in true Napa style. Enjoy Mary’s stories! How long have you been a concierge? 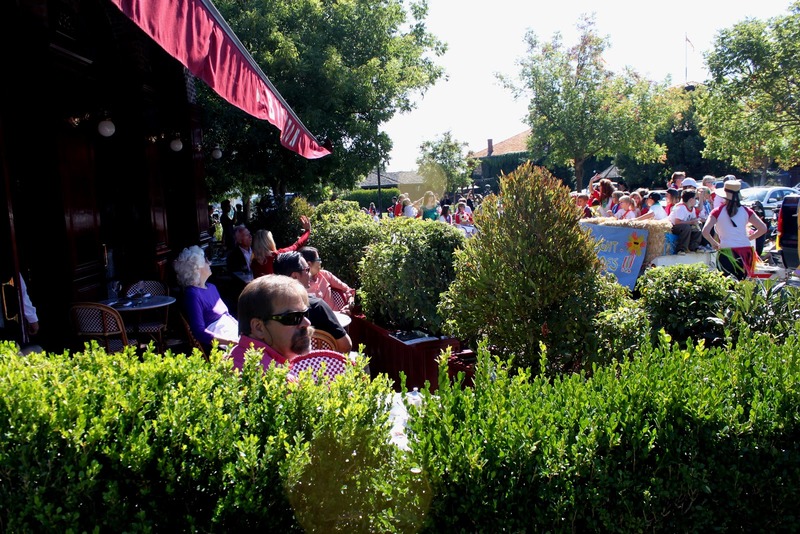 I left the corporate world to take the position at Villagio Inn and Spa in Yountville in 2003 and haven’t looked back. What is your most unusual request? Once I was contacted by a guest arriving in a few days, who was planning on surprising his girlfriend with a marriage proposal and vacation at the hotel. He had selected, purchased and shipped an entire wardrobe, with make-up, toiletries and all she’d need, asking me to set up the room for her. Needless to say, she accepted the proposal! What is your favorite local “hidden” gem? Kayaking on Lake Hennessy, or going up to Somerston Estate where you can drink the spring water from the ground. Going to the ocean, like Rodeo Beach to walk my dog. 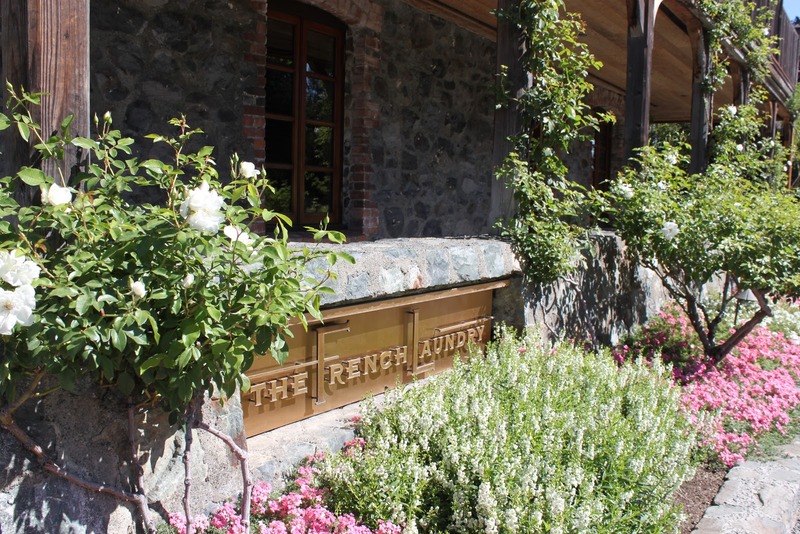 Dinner at the French Laundry, and also Bottega..
Aside from The French Laundry, a chauffeured guided experience of the valley. They get you into all the unknown wineries with special treatment everywhere you go! Something must be good in there! Best quality value for the money? 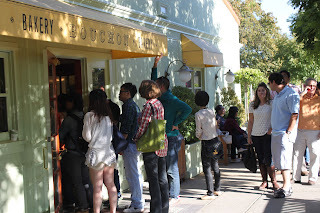 Lunch at Bouchon Bakery or Oakville Grocery. 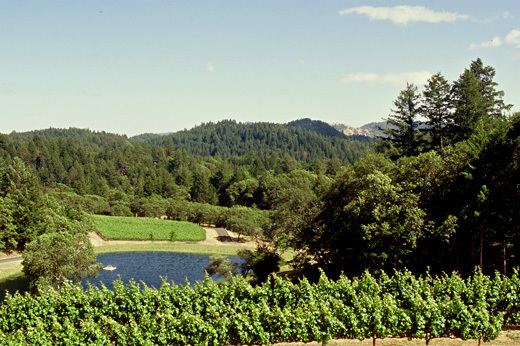 Pride Mountain vineyards picnic ground or Cardinale Estate in Oakville where you can get a 360 view from their balcony. When I arrived in London on one trip, a business man I had met on the plane offered to share his driver taking me to a great hotel, then picking me up the next day for a tour. 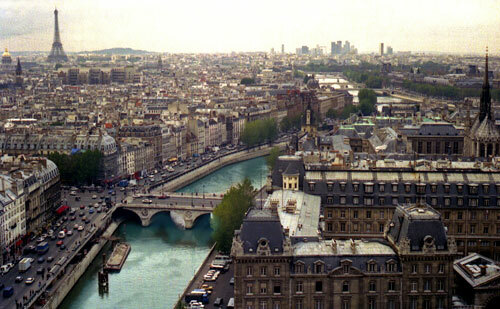 Hotel Fountaines du Luxembourg, on the Left Bank of Paris. 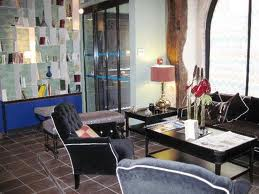 For a tired visitor arriving after a long flight, it was perfect – champagne and fully stocked bar, right amid all the Left Bank’s wonderful cafes and such refined elegance! A guest made me some hand strung pearls, that she had personally selected knowing my favorite colors, eyes and style. How much work it takes to be good at the job. You really need to be able to get outside of yourself and be thinking of the guests’ preferences. When you travel (aside from the obvious) what do you never leave home without. 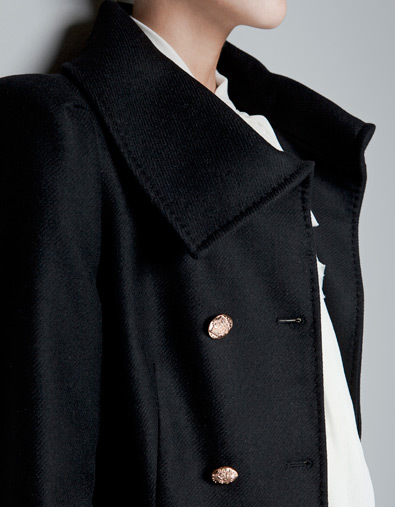 A black coat that covers all occasions – dressy, casual, wind and rain. 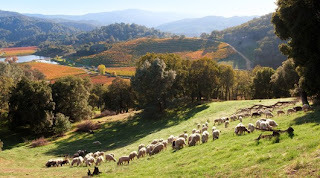 Hire a driver; visit 2 great wineries with a picnic in a vineyard. It’s more important to get quality than quantity to experience the “essence” of the valley. What are your favorite travel apps and websites? ...especially during the Yountville Day's parade.